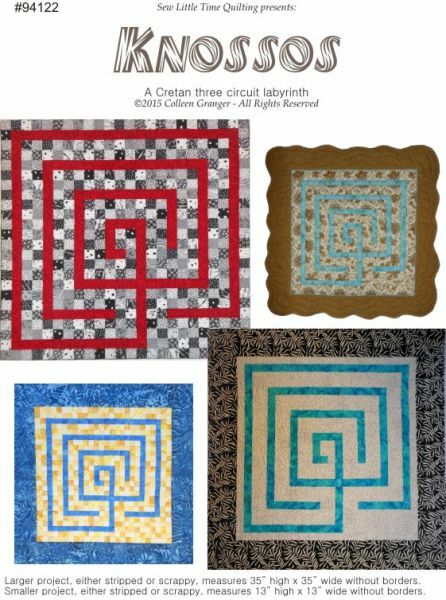 Knossos is a three circuit Cretian labyrinth design that is created either using strips of fabric or using squares of fabric. The major difference is the final appearance. This pattern has two different sizes using either 2" or 1" strips/squares. I hope you enjoy your adventure!